When thinking of Pentax as a camera company a few things come to mind. Skipping ones not relevant to this article, one of the major defining properties of their gear are special pancake prime lenses that provide a quality camera lens with an especially small size. These lenses use a lens element formula that tends to provide a relatively uniform amount of image sharpness throughout their aperture range. Pentax is especially known for these designs, and interestingly enough the big two camera manufacturers don’t offer anything equivalent. The DA40mm f2.8 Limited is the epitome of this lens design philosophy. There is no denying that this lens is unique. Just one look will be enough to agree with that. The especially great thing about this lens is that it makes no compromises in quality to achieve its physical size. Thanks to PentaxForums users, we know that’s especially true since the lens is able to fill a 35mm full-frame imaging circle. Build quality is top notch with an all aluminum housing, inner barrel, lens hood, and lens cap. The hood is a 49mm screw type hood that angles toward the center of the lens to provide enough flare reduction for the small front element. While the hood takes a few seconds to attach or remove, I feel it is an especially useful hood due to the protective nature of that angled metal. It’s protective enough to not bother using the lens cap. You can easily just leave the hood on and cap off out in the field when taking the camera out of your bag and back again as there is quite a bit of distance between the lens hood opening and front lens element. What I do is just add a UV lens filter between the hood and lens to add a second layer of protection, then I just leave the cap off the whole time making things really practical. The lens uses screw-drive type auto focus and is quick in focusing. 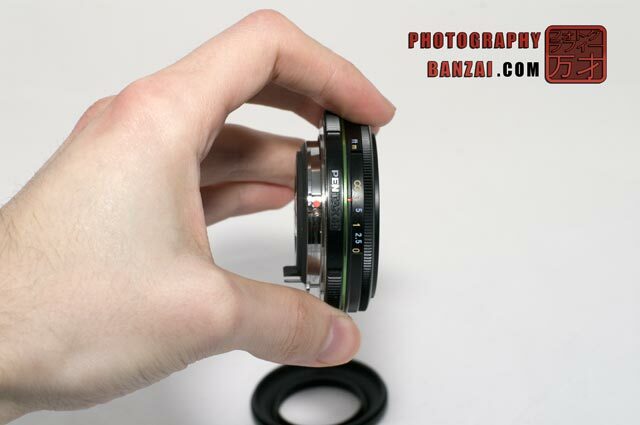 The manual focus ring is extremely smooth, but also a little small for the hand. For me it takes a single hand rotation from end to end on the focus scale. The focus distance scale shows measurements in both feet and meters ranging from 3 meters to 0.3 (feet and meter scale values alternate due to limited space available). Lens specifications and serial number are engraved on the front face as there is enough room given the small lens element. As mentioned in other views, I especially like it when lenses have their serial number engraved and plainly visible on the lens. The lens is of course small and easily hand hold-able, allowing you to take it anywhere by just putting it in your pocket. – A great all-rounder type lens that’s almost at the standard focal length for APS-C sized image sensors (35mm would be equivalent). – A lens that’s frankly special and unique due to how physically convenient it is yet still achieves no compromises image quality. – Small portable size, probably one of the smallest 35mm lenses available. – Easily carry the lens with you in a pocket or similar (comes with a soft leather bag). Even if you are a photographer that prefers zoom lenses, also having this lens with you at all times should be a given. Just make sure your bag is big enough to hold that zoom after you become smitten with the 40mm. – A sharp high contrast lens from its widest aperture. Edge to edge sharpness abound. – Bokeh quality is exceptional thanks to the large number of aperture blades. 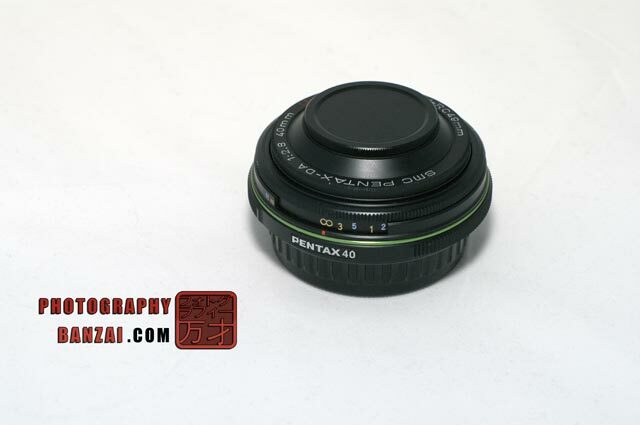 – “good enough” for 35mm full-frame sensor if a FF-DSLR is ever released by Pentax. – High all metal build quality and dependable auto-focus method (screw-drive) you can depend on as a life-long lens. – Lens specifications and serial number engraved on the lens. 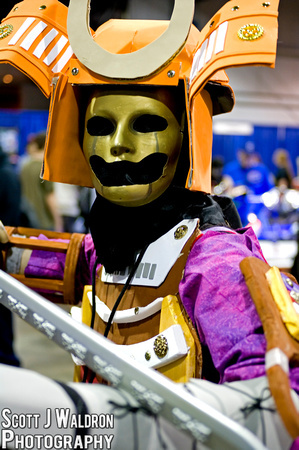 – Quick-shift manual focus is useful as always. It’s useful to me when I’m done using the lens and then I manually rotate the lens back to it’s smallest size before putting it back into the camera bag. – The lens doesn’t have any issues with flare or chromatic aberrations. – The manual focus ring is almost too small. – I somehow got a small scuff on my manual focus ring, showing a tiny bit of silver aluminum. Not sure how it happened, but don’t expect the lens to stay completely black unless you baby it (I don’t baby my equipment by any means). – Screw drive auto-focus, while reliable, is louder than in-lens SDM motors. Not really a negative given the positives of screw drive, unless you really need something low noise. – The lens hood and lens cap, while convenient in some ways, takes a few seconds to attach and remove as they are screw thread type devices. – 40mm focal length isn’t optimal on APS-C cameras. When photographing people at events, it’s primarily best for waist and up style images instead of full body ones. A Pentax 31mm Limited lens in this respect is a better buy if you can afford one. – Not specifically designed to be weather resistant (WR), but those are a newer addition to Pentax’s lens lineup. – I would like to see nice especially curved aperture blades like the D-FA 100mm WR Macro lens has, but the sheer number of blades the 40mm LTD has compensates for that. Edge to edge sharpness even with a large amount of perspective one stop below MTF. ISO 200, f4.0, 1/125th Post processing contrast-y sharp images with this lens is a simple task. Change levels, contrast, and shadows for an exceptionally vivid image. Low light indoor photography isn’t much of a problem with this lens if you are careful. Part of the challenge of DSLR photography is finding the motivation to take equipment out as sometimes the stuff can be burdensome compared to say a digicam in your pocket. I take this lens out by itself attached to the K-7 all of the time as it’s just that convenient. Get a camera bag that can hold just that combination and you have a high quality, fully optical (viewfinder, etc) system that’s ready at a moments notice without much baggage holding you down. Pentaxians are doing a disservice to themselves if they don’t have a copy of this lens. No lenses are prefect, including this one, but it does many things right. It gives you a good deal of convenience and mobility, yet also gives you strong performance at a reasonably useful focal-length. 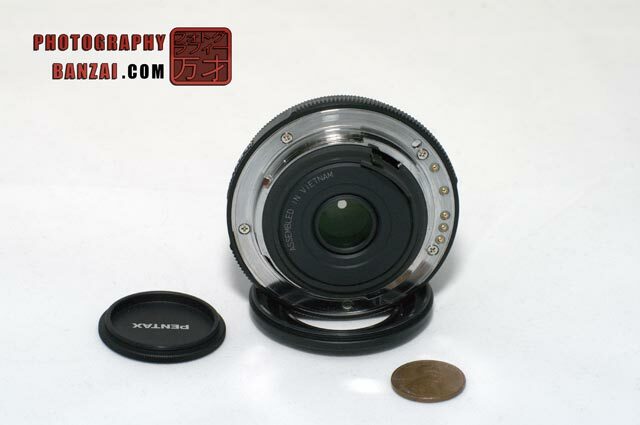 This entry was posted in Lens, Reviews and tagged 40mm, lens, limited, pancake, practical, review, small, tiny. Bookmark the permalink.